As the year draws to a close and a new year opens its doors, while the Christmas lights are lit, our gratitude can rise up with the flames, embracing all who carried the life of our community and kept it burning bright throughout this year. This community spirit is like a holy flame, which is entrusted into our care and vigilance. A fire can only be kept burning if it receives nourishment consistently. The life of our community can only shine and warm, because of the good thoughts and prayers, the helping deeds and the financial help of you all stream towards it. 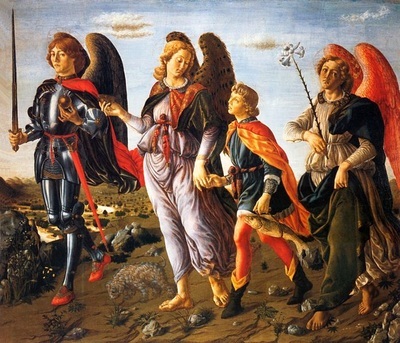 Many will be familiar with the Seven Virtues, made up of the Platonic four – prudence, fortitude, temperance and justice – to which then, in the Christian era, the Pauline three were added – faith, hope and love. Some of these re-appear in the cycle of twelve, which seem to have their roots with Mme Blavatsky of the Theosophical Society. These twelve were then extended to further soul qualities which can develop through practicing the primary ones. So, for example, the January virtue of courage, fortitude, can become redemptive power. The March virtue of magnanimity can develop to love. It will be interesting to see how this theme develops out of the Christmastide into the community life of 2016! 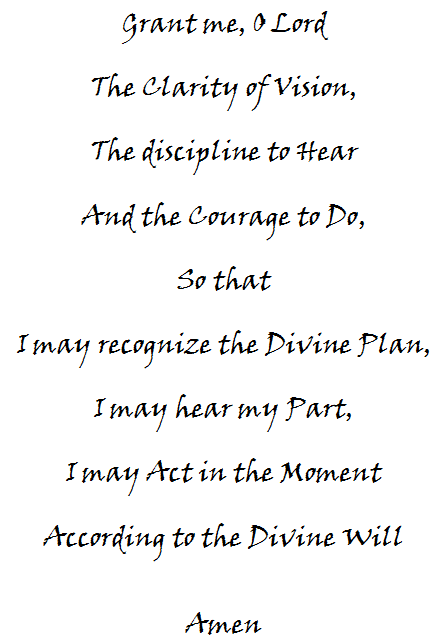 In his book "The Seasons of the Soul" Herbert Witzenmann describes what the 12 Virtues become if they are practiced. The exercise for each month begins on the 21st of the preceding month. ​This day is proving to be a true community building day with more and more parents from the surrounding suburb bringing their children to experience our unique way of creating a wholesome place to play. ​David Wertheim-Aymes lead a group discussion to tackle the always challenging topic of the Threefold Social Order, the oft forgotten initiative that Rudolf Steiner tried to start in the years following the war. Rather than start at the top with abstract concepts and try to reconcile it with the World, we instead worked from the bottom up, using practical experiences to try to understand great difficulty of working in the threefold way. We first tried to build a puzzle without having a picture to guide us – which naturally proved impossible – allowing us to experience the disconcerting feeling of trying to work towards something without understanding the ‘the big picture’ – something which seemingly permeates all of politics, economics and culture today (with a few small exceptions, of course). Next we tried to build an electric motor from simple materials, something which is far more difficult in practice than in theory. It should perhaps be noted here that on the day the women proved better at building properly working motors than the men. The motor serves as an analogy for the social order – if built in a certain way all three magnets are necessary to drive it – in the same way that the ideals of liberty, equality and fraternity are needed to drive (respectively): education, laws and business, for example. The analogy could be taken further too, by understanding that the magnets alone did not drive the motor, but that there was a current needed from a battery, an analogy to the force of the individual (accumulated from many individuals) being the driving force of these man-made structures of politics, economics and culture. ​For the last half an hour we also tried to discuss theoretically our views on these things, but found ourselves tripping repeatedly on things like the meaning of words, our differing experiences of things, and the massive complexity of these things in the world today. These difficulties highlighted the appropriateness of the bottom-up approach in trying to cultivate a practical approach to work in the World in a threefold way. ​On Remembrance Sunday, 22nd November, Reingard gave a talk entitled The Path of the Soul after Death and the Celebration of the Act of Consecration of Man. When we sit facing the altar for the Act of Consecration of Man there are many images facing us. One, is the figure on the back of the chasuble. This elongated U is, on one level, an image of our descent from the world of spirit, through our lifetime on earth and the ascent back to the world of spirit. Our descent to the earth is less of a concern for us as we are already here, and we have the possibility of contemplating and observing the processes surrounding our arrival in a physical body. The ascent back to the world of spirit is more of a mystery and our preparation for this ascent more relevant while we live on earth. The very words of the Act of Consecration of Man take us on the journey through the seven regions of the Soul World and into the Spirit World. By listening carefully to the words of the service we prepare ourselves to recognise what we will meet and what our expectations should be. Even the picture of the room with the altar and the colours that change in intensity and hue are part of this preparation. The Act of Consecration is multi-layered and this is but one task that this service fulfils as we sit before the altar. It is worth reading Theosophy by Dr Rudolf Steiner to learn more about the seven regions of the Soul World and to take that knowledge into the Act of Consecration of Man to contemplate the words that are heard from the altar. Some of the words that we may have wondered about, that seem odd or that jar us into wakefulness will take on new meaning in the context of the ascent through the worlds of soul and spirit. Jacqui White gave us an insight to the works that have been on exhibit in the Community Room during October (and can be seen at joburgart.weebly.com). The works depict the bridging of polarities. As Jacqui explained this is an alchemical process. She says that both a strong acid and a strong alkali will eat away at anything that is submersed in them, but mix the two together in the correct proportions and the resultant liquid is harmless, even friendly. Her own particular mixture turns blue. Each of her works represents the bridging of opposites or polarities. An attempt to describe this for each work may be found in the caption to each work on the website. Thomas Holtz had the opportunity of meeting Massachusetts Institute of Technology's (MIT) Sloan School of Management lecturer, Otto Scharmer and he is currently part of massive open online course (MOOC) of 45 000 people studying Theory U. Thomas shared some of what he has experienced with us in a talk on Sunday, 18th October 2015. Firstly, we live on this earth; it is a very precious place as Thomas shared with us in a video of the experience of astronauts who have looked at the earth from outer space. This means that we are a part of whatever is problematic around us; we can’t escape that responsibility. Secondly, when we look at anything in the world we should understand that what we see is not all there is. We are looking at the tip of the iceberg sticking out above the surface; below the surface is a lot more that we need to integrate with what we see before we have full understanding. Thirdly, when we recognise a ‘disconnect’ in the world there is a state of turmoil where things can go one way or another and we can influence the outcome to best serve the future. The process of pre-sensing, called Presencing, is the heart of Theory U. Theory U is a process undertaken by a dedicated group of people with an authentic desire to bring about a change. Through the process the people in this group will begin conversations that identify where they each stand on the issue. Then opinions will be debated in order to deepen understanding. As the group grows in mutual understanding they are led into dialogue and finally into Presencing. As the conversations deepen the ability to listen deepens and in the state of Presencing we are able to listen for what does not originate out of our old preconceived notions but instead comes from what wants to come into being, almost as if it is coming from the future. This point of Presencing is the bottom of the U. From there the new ideas are crystalised and then prototyped until they are ready to become the new way. This way of approaching change is very powerful as the change originates from a group of people working together not from their old concepts but by listening for what the change is asking to become. It requires the participants to be of open mind, heart and will and connecting on a truly human level. The results have been so powerful that there are chapters of the Presencing Institute all over the world and the Theory U is used in companies and governments to identify the correct changes that are required. The congregation intends to try the Theory U process during the Advent Fair Review and Preview on Wednesday, 11th November at 19h00. The festival of All Hallows’ Eve, commonly referred to as Hallowe’en carries with it many associations and traditions, from distant past to the present day. Some of the early influences and nuances go back to the Celtic festival of Samhain, others to the Roman harvest festival. In the middle ages as elements of witchcraft also became synonymous with the festival, the Church focused on a religious understanding of the occasion, with the Protestant church later turning its back on it. Befriending the dark, giving space to the world of the elemental beings as they live in the four elements, divining what is stirring in these weeks between Michaelmas and Advent, to name a few. One helpful thought in this context is the parallel with the three day wake after someone has died. The “Hallowed Eve” and the days of All Saints and All Souls which follow, prepare the ground for November – the month where our attention is drawn to all those who have died. It is a pause in the cycle of the year before Advent heralds a new beginning – outwardly and inwardly. We are encouraged to face the unknown, the apparent dark which embraces our earthly existence, to befriend it. In so doing we build something like a protective skin around this sensitive, threshold space, between the two worlds, just as we do during the wake for a loved one, whose physical body is no longer protected by their own indwelling consciousness. To gather with the children in this twilight hour on the 31st October for games, story, a fire, secures them and gives them their own confidence for the unseen worlds. Rev. Malcolm Allsop gave a lecture to the Anthroposophical Group on Friday, 11th September. Although his talk was entitled Rudolf Steiner and Christianity Malcolm began by explaining the meaning of Christology. Christology is the study of Christ and everyone who makes a study of the Christ may have their own Christology. The lecture therefore was concerned with Rudolf Steiner’s study of the Christ, but not through a study of scripture as much as through his own study of Spiritual Science. Rudolf Steiner’s Christology can be divided into three time-spans: firstly the period up to the birth of Jesus; secondly the 33 years of the life of Jesus; and lastly the period after the Ascension. For many Christians their Christology spans only the period from the Conception to the Ascension and they view Christ as having sat at the right hand of God ever since. Malcolm firstly gave us some insights into the life of Rudolf Steiner, taken from Steiner’s autobiography, from the time he was a young boy up to the start of World War I, of the people, events and places that shaped and influenced him. Steiner had an inner experience at the end of the 19th century of “standing before the Mystery of Golgotha” that shaped his teaching in Berlin in the early part of the 20th century. Steiner made a significant remark that it is necessary to wrestle with the teachings of Nietzsche in order to bring Christianity into future centuries. Malcolm proceeded to mention specific events that Steiner attributes to the Christ in each of the three time periods. 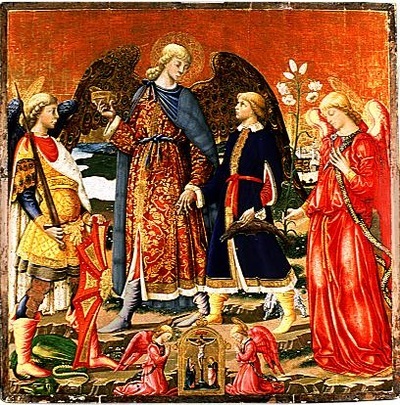 On Sunday, 23 August Michael Merle, teacher at the Roseway Waldorf School in Hillcrest and member of the congregation in KZN, shared the story of Tobit and Tobias and the possible meaning of this story. 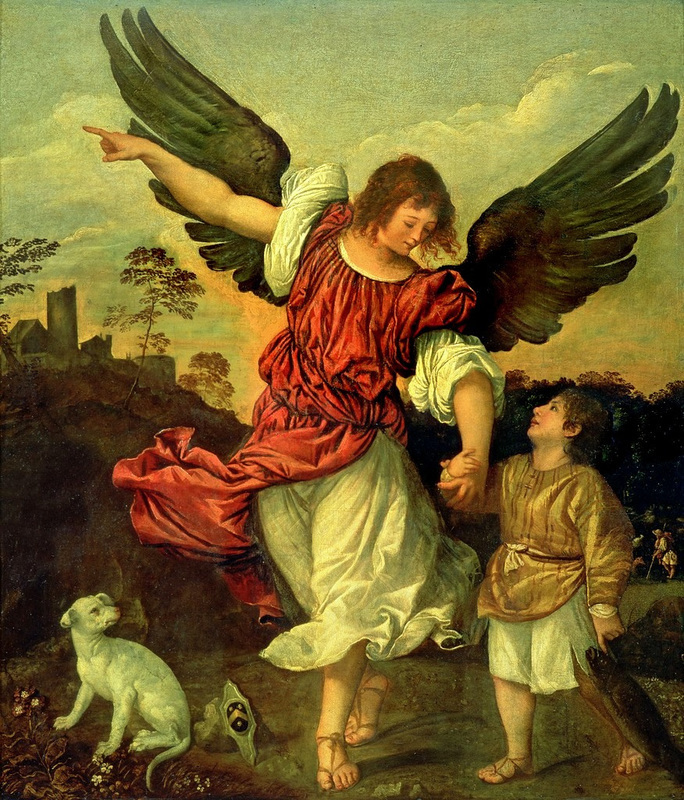 The Book of Tobit forms part of the Wisdom Teachings of Hebrew scripture written after the Law and the Prophets and considered to be part of the Apocrypha by Protestant churches. Michael pointed to the unusual names of the people portrayed in this story and the imagery and showed how these are keys to unravel the true meaning of this story. This story is the only story in Hebrew scripture to feature a dog; a dog that leads Tobias, Tobit’s young son – the name Tobias literally being a diminutive of Tobit – out of the house on the journey that he takes with a travelling companion and is again there to lead him back into the house of his parents on his return from his journey. The dog was the companion of the dead in the Zarathustrian tradition. No person was allowed to be declared dead until this was confirmed by a dog and the bridge connecting the spiritual world to the earthly world was lined on both sides with dogs. This story was written post the Babylonian exile and suggests the Hebrews had become familiar with the religious traditions of Babylon. The interpretation Michael gives to this story is of the soul – the smaller part of man – taking a journey into the spiritual world to a place of meeting where the soul has the possibility of bonding with the higher self and then returning to the earth with riches and medicine to heal an aspect of the earthly life. 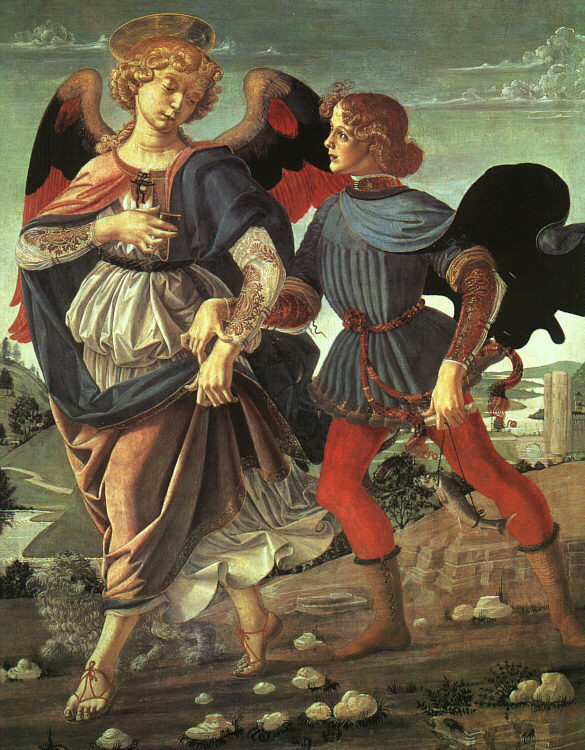 The crossing backward and forward across the threshold of the spiritual world is a subtle theme hidden in the layers of this story and may represent the crossing from one life to another or the crossing each night of a part of ourselves to encounter our higher self in the presence of a companion angel. 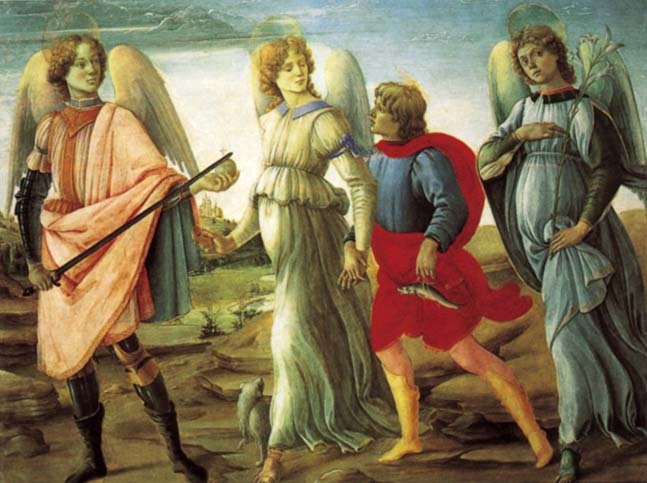 In the Book of Tobit the companion angel is the Archangel Raphael. Michael concluded his talk by sharing some of the art that represents this story. While most artists represent Tobias accompanied by the Archangel Raphael with a dog and the fish he has caught in the ‘fast flowing’ waters of the Tigris River, at least three artists present Tobias in the company of three Archangels: Michael leading the way, Raphael as his companion and Gabriel following behind. Finally Michael reminded us of the more contemporary story in the 1900 novel ‘The Wonderful Wizard of Oz’ by L. Frank Baum of another journey there and back again in the company of a little dog with three travelling companions: the lion who had lost his courage, the scarecrow who has lost his thinking and the tin woodsman who has lost heart. Lets’ take our local Municipal Library and look at it closely and objectively from a distance purely on a physical level. We know that it has an address and we know the property and buildings. We see the gate opening and closing and the movement of people as they gather and then disperse at certain times. We see the odd person visiting and then leaving. We see the movement of dustbins, the care for the premises, the appearance of books, labels, and other supplies. Watching this from afar, what can we deduce is happening? Surely we would deduce that people go there because something lives in them that finds this place, or what is offered, important and or valuable. Surely, the more important or closer to the hearts of these people, the more people would go there. The less important, the further from the human heart, the less activity one would see there. We see fewer visits, fewer cars, less people at gatherings, fewer flowers, fewer invoices, less post, and so on. If the people hypothetically continue to withdraw their interest until there are none left, the movement or activity on a physical plain in the vicinity of our Library comes to an end eventually. The Library came into existence because it was something that was needed and held in consciousness by active human inner life, spiritual life. It hinged on what lived in these peoples’ value system and motives, not on what was digesting in their stomachs. We see in this example expressed that the inner orientation of individuals to life will determine what outer life looks like. Where interest and love leave people, they leave the Community, the Community decomposes as it were, it decays, it evaporates, sometimes painfully slowly. The converse is that where there is increased value for people because they find love, patience, objectivity, openness, clarity and truth, there will be a forming, a coming together – no longer a decomposition, a death, but rather a birthing. While our physical bodies are birthed from Grace, we need to accept an ever increasing responsibility for the birthing of the future Community of Mankind by valuing, owning our own inner life in all spheres of our lives. This will determine what society will look like. Working on my inner life has the potential to empower me, my neighbour, and then more. What lives in me is vital as a starting point. Can it, out of its essence in truth and humility, be the yeast for another to want to make contact with their inner life and from here them wanting to start to mould their inner life for themselves? Yes, I can play a part of where and how future human activity will be expressed. David’s article above raises interesting questions which might stimulate discussion amongst the Newsletter readership. For example, To what extent does the comparison help us to understand phenomena pertaining to a community, rather than a group of library users? When and where do the contrasting elements tip the scales of the comparisons? How do we understand eg. our community here, The Christian Community, or another community with a religious/spiritual purpose? Are we here, with a physical centre in Ferndale, a physical community at all? This may be a valuable discussion on Sunday, 20th September when a Community Forum is scheduled, to look at themes, issues living amongst the members and friends. Where are “we”/each of us going with our “Uncapped Wellspring”? Japan has a poetry tradition going back over a thousand years, with its roots in Chinese culture. The Haiku was originally the opening stanza of a Hokku, or collaborative linked poem, which would be composed by three or more poets comprising numerous verses. In the Middle Ages the first verse - the Haiko - gradually established itself independently of the subsequent verses. Here are two which appeared in the newsletter last October. They were written by Peter Fincham who had a strong connection to this poetic form. In astrological terms a square “creates tension between the planets and points involved. Tension is necessary in order to stimulate action, but too much tension translates to stress. The planets involved in a square are acting at cross purposes. With squares, we may overdo and run into countless obstacles before we "get it right". However, squares force us out of complacency and get the ball rolling. Squares are often more difficult when we are young, as these aspects force us to grow and learn our lessons.” (cafeastrology.com). This square between these two planets is not something of a few days or weeks but has been with us for three years. Seven times between 2012 and 2015 Pluto and Uranus have formed an exact square and during these periods we have felt the tension the strongest. The seventh being 11-18 March 2015. 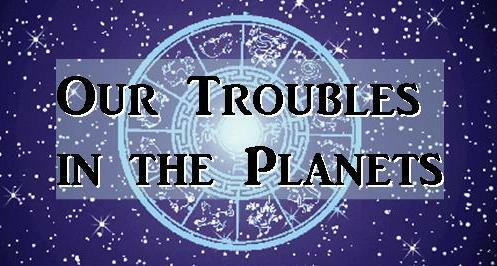 By October of this year the effects of this aspect between Pluto and Uranus will begin to fade. Pluto is the planet of death, a death that leads to transformation. Its effects are pervasive and would make us a prisoner. Uranus on the other hand is the planet of freedom. When these two plants square the tension they cause can lead to chaos and violence in the world as well as financial problems. 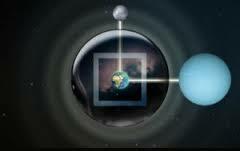 This aspect of the planets allows us to work with the Ascension Consciousness which is Pure Present Moment. When we are fully present in the present moment the chaos that others experience is not our experience. Chaos is a relationship to time while the present is the experience of now, and now only. The death that Pluto initiates is not death, but a stripping away of old beliefs and everything that does not serve us, revealing our soul to us. In this time we should be aware of triggers, especially triggers that have been with us from childhood, and not allow them to rule our lives. Rather we should become aware of what is happening and find a new and appropriate way to interact with present happenings. Other people will project onto us, but these issues are not our issues, they belong to the other people. Rather than reacting, it is our opportunity to listen deeply, not to what is said, but to what lies behind what is said. In other words we should not hear the anger directed at us but rather the hurt that has caused the anger, the hurt that belongs to the other person, and be empathetic to the hurt not defensive to the anger. This aspect of Pluto asks us to remain playful, looking at everything from different angles, finding what benefits us in every situation and not being judgemental in asserting our ego-rights. We are also aided by the moon which is at a standstill over the equator teaching us to be still, to keep an open heart, to look at things from the other persons point of view and helping us detach from the influences of the other planets. We should understand that we are always safe and protected by the angelic realms irrespective of the momentary earthly events. An aspect of each if us is the Inner Child. This Inner Child holds within it a wounded ego of all the beliefs of previous lives and of this life. The wounded ego holds the Inner Child in the shadow. One of our tasks is to release the beliefs that have created the wounded ego so that the Inner Child can be returned to the Flame of the Soul. Our greatness sits in the shadow and only through integrating the shadow with the light can we access and use our greatness. Everything that we ignore creeps into the shadow and lives as our ‘Doppelganger’. When we deal with these shadow aspects, and in working with them, integrate the negative of the shadow into the light and in doing so become a powerful force for good. The current planetary aspects, which may appear to be causing chaos, are in reality enabling us to deal with the shadow bringing about a change for good, but the work is ours to do. Everything in our present world situation , in all areas of life, is calling out for healing and an expansion of our awareness to include heavenly spiritual powers as a reality in concrete life situations. One of the central aspects of religious renewal is the quality of care and knowledge that can guide us to nurture our relationship with those who have died. The renewing powers are available, but they only become effective through human beings, who give them time and space in their lives. Once a month, on the last Saturday at 17h00, a small faithful group of members gathers to do this, as a selfless deed for the living and the dead. It is not only meant for those we personally are connected with, but moreover to also connect with this vast community of christened souls, without whom we embodied souls can have no future. We are all still an integral part of each other. It matters to every living being that it is remembered and can be in an exchange. You, too, are warmly invited to participate in this humble offering at any time. During the 50th Anniversary Celebration in Cape Town, members met in Johannesburg during the same days, ‘uncapping’ the wellspring right here. Firstly, I would like to say thank you to all those who took the time to come and join Karen and me for the conference. And thank you that you participated with all your heart. We gathered in the community room at ten o’clock in the morning each day and divided the mornings into three parts. We began the mornings with warming up games which are community builders. Everyone embraced these with much laughter and attention which laid the foundation for us to build on. We then began contemplating the Creed. We divided the twelve sentences into three parts, with four sentences in each part. We divided into groups of three and four to study the four sentences of the day. Every day brought new people together to consider the importance of the words written in the sentences and with that new thoughts and understanding could arise. After a short tea break which was so generously supplied with delicious treats (thanks again to everyone who brought) we gathered again to discuss our community and what it means to us individually. We shared what we had brought from our homes and gardens that we felt represented our city. The light of Johannesburg filled our space. Then Karen asked us each to try and contemplate what words St Paul would give to us as a community that we could take and use for our community life. She asked that we write those words down and bring them to be shared in the circle on the final morning. We did that and gave our words to someone else to read. What was written and shared is on the board in the community room for everyone to read. I know that you live in the city often called the crime capital of the world. Indeed this city on the mountain appears hard and unforgiving. But look around you: you are flooded with bright light where bad deeds cannot hide, but good ones shine like stars. Your strong will and determination to establish and support the sacramental life has brought blessing to your city which have spread far and wide. You are a strong pillar of the new Christianity on the continent and have still much to do in the coming 50 years. Do not despair when times are tough; have courage to know that your path leads to greater things. Cultivate the vision of the Living Christ in your homes to inspire the younger generations to follow in your pioneering footsteps. It will be their task to carry this impulse to the end of the century and beyond. Look up and see the clear shining sun of the future. An essential 'Re-New-All' will only come about if it is based on a 'renewal in consciousness'. The initial 'renewal' came about because the Christian Community is based on a 'new' awareness of the Trinity and the Christ, as the wellspring of our religious life and services. This is evident if one concerns oneself with the Creed of the Christian Community and the opening words of our central service, The Act of Consecration of Man. This creed differs essentially from the services and creeds of other churches. The research of Rudolf Steiner brought to mankind a new understanding of the Christ, and this engendered a new 'Christ-Consciousness'. The Christian Community is unique in that regard, and the sacramental life springs from this new awareness. The Christian Community is essentially a 'Christ-Church' and at the same time opens a deeper understanding of the mystery of Jesus. It goes together with the enhanced 'I-Consciousness' awakening in human beings as necessary in our time. Any true Renewal will call on a heightened awareness of these Wellspring realities in the individual members, as a service to Christ's working for humankind and the earth. A deepening of the understanding of the Creed as lived in the Christian Community and the confirmation of its content by the individual will contribute significantly to the RENEWAL in our congregation. We look forward to you joining us to ponder this together. Not lulled asleep by the restless surf. Not hidden beneath the shadow of a mountain. What unimagined force is buried in our soil? The long dry winter bares the new bud. To be dreamy human being. Below are excerpts from Anna Katharina Emmerich’s descriptions of the Ascension Day events. 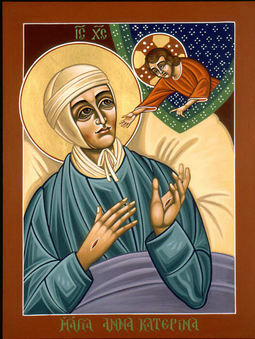 She was an Augustinian nun, a visionary, who lived from 1774 to 1824. “As the day broke, Jesus, together with the eleven, left the house where the upper room was. Mary his mother went with them and behind them followed a large group of disciples. They moved through the streets of Jerusalem where everything was still quiet, asleep. The Lord became ever more serious and quicker in his words and his actions…I recognized the route and sensed that He was retracing with them the path of his suffering, to make alive in them the fulfilling of his promise. In front of the city gate that leads to Calvary, He left the path for a place of prayer, pleasant under some trees. There they sat and He taught and consoled them. As the sun rose their hearts became lighter, feeling that He might, after all, remain with them. At the garden of olives the crowd around Jesus was so great that I could no longer count them all. Jesus spoke at length to them, as one who is speaking for the last time, before departing. They sensed now that the moment had come when He would leave them, but still not quite believing that the time would be so short. The Lord set out now, higher up the Mount of Olives, the crowds following as if in procession on different paths around the mount. But Jesus was ever faster and ever more shining. The disciples hurried but were not able to catch up with Him. As He reached the top, He shone like white sunlight. A shining circle descended on Him from the sky, glowing in rainbow colours. Those following stood further back, as if dazzled. Jesus shone even brighter than the circle of glory around Him. He placed his left hand on his breast, blessing with his raised right hand, turning all around, as if to the whole world. The crowd stood motionless on all sides. I saw them all blessed. With great joy I felt his blessing for the whole world. From time to time we have made changes in the wording of our rituals so that they express their spiritual content as clearly as possible. For over ten years the regional priests have worked at every synod and sometimes in specially called meetings with overseas priests and linguist members on our English and Afrikaans translations. 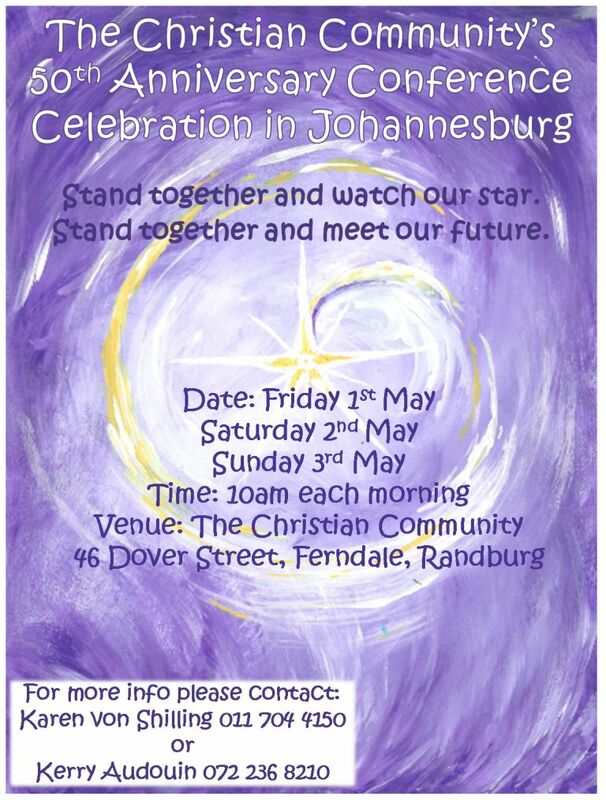 On 1st, 2nd and 3rd May at our regional 50th anniversary conference in Cape Town, ‘Wellspring Uncapped – welcoming Light from the Future’, changes will be introduced that will affect not only The Act of Consecration of Man, but the entire body of our rituals. At that time we will move from the King James era forms of ‘Thee’ and ‘Thou’ to a ‘You’ form, albeit in Afrikaans not completely. For the Christian Community, the sacraments and rituals that we celebrate together are its heart and centre. Each one of us forms a personal connection to this heart, and the words that form the garment of each ritual become a living part of our inner life. For this reason, every change might feel jarring and uncomfortable, especially one of this scope. For this reason, we have spent a long time deliberating about this change. This change was borne out of a conviction that our rituals should be in a clear, direct and modern language. Dropping the archaic forms such as Thee, Thou and Thine, and also words like makest, dost and receivest, means losing a richness of sounds and nuances, but gives the way in which we address the Divine an immediacy and directness. When the Christian Community was founded in South Africa in 1965, it came via Britain, and the translations in use there were adopted here. Already some of the priests from that time saw the need to make this change, and began work on an English ‘You’ version for our rituals. After decades of work and meditating, this change will now go into effect during the Easter festival season on 1st May 2015. We are a movement that is at its very beginning, part of the contemporary culture that is breaking new ground and changing and growing into the future. The words we use to form our prayer can be a reflection of this reality. We gathered after the Sunday church service in the Community room on 15th March to take in some of Olga Corner’s wisdom concerning the principle/matrix set up by Leonardo Da Vinci in his life work. I confess to feeling very inadequate at grasping much of what she gave us, but here are a few things that I do remember. 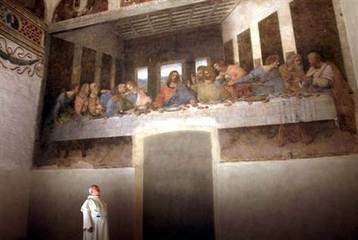 We saw slides of the Last Supper painting, which can be seen in Milan, Italy. 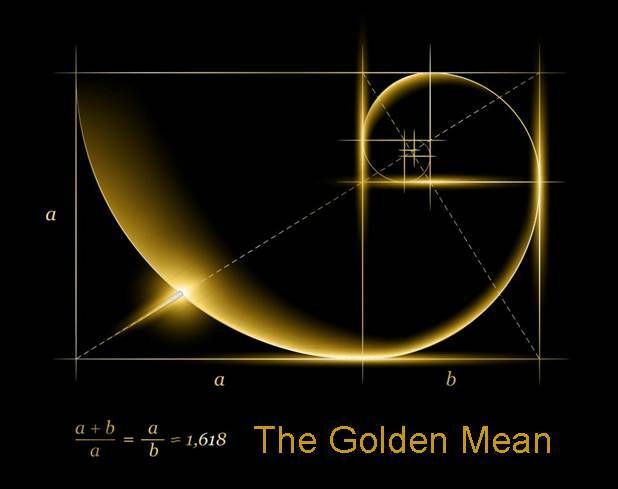 Olga explained that the painting was carefully structured on astrological and mathematical principles, including the 12 houses of astrology, the four seasons, the four heavenly directions, the cross, and the Golden Mean, and how this principle affects every part of our being and lives. We were asked to think of a healthy balance in ourselves, between light and dark – our light and shadow sides, and asked to imagine a point on a line in the middle of the two. This middle point was possibly a point of intensity and conflict compared to a point along the line that corresponds to the Golden Mean. The “Last Supper” can be contemplated from many different perspectives, and there is so much meaning found in it as a picture for human development, although strangely enough it was painted with materials and on a surface that do not stand the test of time, and the painting has been through several renovations and dramas of history, but glows in its original colours today. It never ceases to touch hearts intensely. It is considered by many mystics that The Last Supper painted by Leonardo da Vinci, is one of the most important paintings on this planet. When we view The Last Supper, we may experience a form of demarcation as Christ and the disciples sit on one side of the table with a mysterious empty chair in front. When we view the painting, we may at times feel separate and not a part of The Last Supper, because it visually appears to be strictly private between Christ and the twelve disciples. And so how do we enter into the space of Christ and the disciples where we come to experience The Last Supper within ourselves and no longer a mystery veiled by the illusion of separateness? Olga Corner gave a talk on how to experience The Last Supper within, so that we no longer feel alienated from the event; instead we will feel the story on an archetypal level within ourselves for our own healing, evolution, opportunity to complete the soul and awareness. Olga explained how our personal light and shadow work within ourselves in relation to The Last Supper, and how we can merge the light and shadow within a specific state of Beingness that the hand gestures of all concerned in the painting significantly represent. We would consequently imbibe a significant spiritual awareness, especially when we understand that Da Vinci used deliberate techniques for the required awareness and healing, such as hidden concave mirrors and ancient astrological knowledge (An Ancient Astrological Holy Science of Christ as part of the Sun) to execute the painting. During Advent, Malcolm looked at different aspects of “waiting” in his sermons: waiting with expectation, in anticipation, in preparation or even with resignation. On the Sunday before Christmas, he explored the colour “blue” with us: being “from Beyond” was a quality associated with “blue”. The mystery of “the beyond” becoming a reality on earth was the theme of Reingard’s three Christmas talks on “The Birth of Mortality in the Soul”. Both space and time opens up around the Christmas altar. The flow of time in the Act of Consecration is slowed down when the activity present in the Act of Consecration is stretched over the three Christmas services from midnight through dawn into full daylight at 10 o’clock. Around the altar the three different writings reveal a hidden movement always there. During the year, the gesture around the altar is visually a rising one, an offering from below to above, at Christmas the veil is drawn and the spirit world opens up to the eye that can read its imagination and recognise the flow from above to below the direction of a blessing, a gift. What is the relationship between the ascending and descending movements, or as Reingard put it, when does the setting sun become the rising sun? What lies between an offering and receiving a blessing, a gift? Above the altar picture, three realms are shown at Christmas: the realm above beyond the consonants K M B, where a rising impulse transforms into an outflowing one. This, the ‘midnight hour’ of sleep, is the deepest and darkest part of the night. It is not only the fulcrum of the night but also of the day of existence, for it is here where an intention from the earth is received in the reality of original goodness of God, and where the impulse is sent back to man passing through the sphere of the formative forces – the consonants – where it is restructured and rejuvenated in a way not possible to achieve by individual man on earth. Man’s Impulse then moves further down through the realm of the Angel hierarchies, marked by the words “God be reveled in the heights”. We become aware of events that happen, but are not normally visible and open to our daytime consciousness. And this is the threefold wonder of the Christmas services: it allows us into the deepest nighttime mystery of Christmas, which underlies and is celebrated in our normal daytime Act of Consecration. And at the same time it lifts up man to behold with daytime consciousness the source of his daytime existence in the night as the wellspring of all life, as the origin of morality in the soul, to be born in the light of day where deeds can be done in freedom. When waking up in the morning and feeling the challenges of the day coming to meet us, it can be a source of comfort and strength to know there is an altar in this city, this country and this African continent around which people gather to nurture consciously the same flow of life which re-enlivens us every night. To Feel the connection with the Christ-deed and participate in the building of community around this can lay a foundation of deep gratitude beneath all the events a day brings towards us. THANK YOU for your part in sustaining this Spirit-light-network during the past year! The signature of Jesus’ birth on earth – and therewith the vessel for Christ – is highlighted by events which all share a common denominator. Be it the shepherds, salt of the earth from the local population; Simeon and Anna in the temple who have waited into their old age for this moment. Be it the kings with gifts from their schools of ancient wisdom, and even Herod, in his fear for his ‘world order’: all these moments of encounter portray a realisation of impending upheaval, something very new breaking into their world, an ailing world and humanity, becoming ever more inflexible and hardened. As we well know, an illness is oftentimes a sign that change is needed, is on the approaching horizon. Similarly, it must have been the case for those who witnessed and recognised the import of this World Birth. Geologists chart the course of the earth evolution in mighty phases spanning from one dramatic development to the next. Our current age is known as the ‘Holocene Epoch’, meaning the completely new age, having started at the last period of glaciation. (Before that – 11,700 years ago – was the Pleistocene Epoch.) Now, another expression has crept in in recent years, that is felt by many to be more apt; the Anthropocene Epoch, i.e. new involvement of human beings. Our physical impact on the earth is now comparable with that of bygone ages’ natural upheavals. This should therefore be acknowledged by a new name for this new epoch. The geological jury is still out as to whether to accept this challenge or not, but one thing which this does do: it puts mankind and the earth back into the limelight after recent centuries which have backstaged our little planet and downgraded homo sapiens to a slightly superior animal, in the much greater cosmic scheme of things. And, that we realise more consciously the impact of our actions as a whole. Even more, that the healing potential of Christ starts to be recognised in its potential impact for the earth, right down into its earthly structures, through the fundamental involvement of mankind. For ten days before Christmas 83 children and 20 highly motivated and committed young adults filled the Goodlands Estate in the Seringveld Conservancy with bubbling life and laughter and singing and listening stillness. This time is a true gift of love, creating a 'conservancy' where children can be the free unburdened spirits only they know how to be if given the right space. Deep gratitude filled our hearts as we said good-bye at the end, all having strengthened and grown in soul and spirit. A group of these leaders returned to Joburg and, upholding the momentum of initiative, immediately gathered to rehearse the Oberufer Shepherd's Play, which was then gifted to the community four days later on Christmas Eve, ushering in the Christmas spirit. Our camp started with a loud rolling of drums. The children were welcomed by the helpers performing awe-inspiring circus acts such as fire-blowing, fire-poi (swinging a torch), juggling and dancing. Carnival had come to camp! The exploration of the theme of creating carnival led to many interesting surprises, especially about the many hidden qualities of leaders, helpers and children. The most puzzling effect of all the activity was, however, the deep calm that I experienced at the camp. How does creating fun lead to a feeling of serenity that is still with me? What made me feel so satisfied and fulfilled every night I went to sleep? The day had been filled with stories, games, crafts and much bonding; friendships blossomed and slowly I learned more about each individual and about myself. But there was more than these experiences, for they grew out of the silent flow that existed between all the helpers as they had one clear, yet quietly unspoken goal; the good of the camp. So maybe the calm gave rise to all the fun… My sister Beatrice expresses it as “the experiencing of a lively spirit within” which made her aware of quietness. Our friend Thalo found that the camp was different this year due to the many new children who experienced the wonder of it for the first time yet so easily fell into the natural rhythm of it all, ready to participate in all the activities bursting with colour and excitement. During our closing ceremony, each group presented its own carnival act. When I saw the joy in my group I realised what the gift of Camp 2014 was: a calm carnival, a quiet celebration that will be with me for a long time. Thank you Reingard, Mr Bester, and Jason! This letter formed the basis for the New Year''s Eve sermon by Rev. Malcolm Allsop. The content of the sermon is not presented here but the letter will provide you with cause for your own reflection. There is a river flowing now, very fast. It is so great and swift that there are those who will be afraid, they will try to hold on to the shore. They will feel that they are being torn apart and will suffer greatly. Know that the river has its destination. 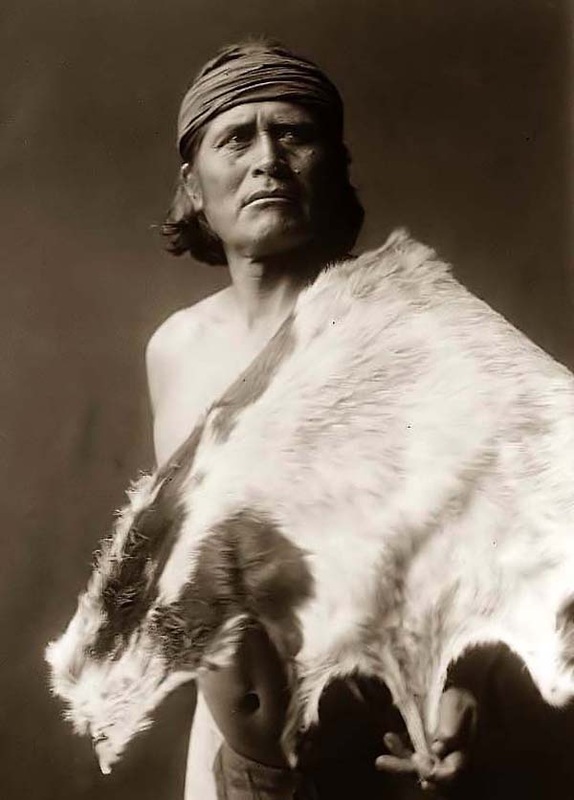 The elders say we must push out into the middle of the river, keep our eyes open and our heads above the water. And I say, see who is in there with you and celebrate. At this time in history we are to take nothing personally. Least of all ourselves. For the moment we do, our spiritual growth and journey comes to a halt. The time of the lone wolf is over. Gather ourselves. Banish the word “struggle” from your attitude and your vocabulary. All that we do now must be done in a sacred manner and in celebration. This message is in part inspired by the talks given by Rev. Reingard Knausenberger about the Christmas altar but also reflects a belief I hold strongly. My wish for 2015 is for people to find integration and healing with themselves so that they have greater peace in their environment. What is it I’m wishing for? When someone speaks they are speaking out of their experience, knowledge, morality, ethics, fears: they are speaking out of themselves. When I, as the listener, find that I react to something the speaker says, that reaction is in me; it is unrelated to the speaker. I need to find what it is in me that causes the reaction and needs integration and healing. We generally do the opposite and blame the speaker for causing the reaction – hurting us, etc. In truth the speaker is speaking only for himself and to himself and not really to me. 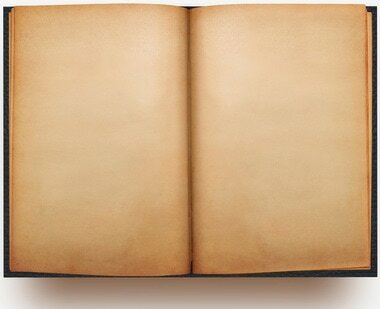 My fears, experience, knowledge, morality, ethics, etc. react to what I hear; that reaction is entirely mine. People are speaking about me all the time, saying things that have a deep impact on my life: in the ministries of government, in parliament, in cabinet and even in their homes. The things they talk about affect my electricity supply, the conditions of the roads I travel on, the taxes I pay, how I can and cannot earn money to live from, etc., etc. I don’t react or get angry at what is said although the impact is very real in my life. Yet when a loved one or someone close to me says something that I hear and causes a reaction within me, I become angry and act negatively towards this dear person even though what they have said has no real impact in my life. I want to hurt someone I love because of a reaction within me. It sounds absurd, and yet it happens every day in my life and probably in yours as well. The same is true about the things I hear regarding groupings of people, for example the beliefs of another religion. Note, I again use the word “hear”. I hear and a reaction arises in me. In turn I act out of my reaction against the other people. So this is my wish: that I become an observer of the reaction that occurs within me. That I investigate the cause of the reaction and heal or integrate the cause of the reaction so that I stop reacting when I hear words spoken by someone who is speaking for themselves to themselves. That I stop fooling myself that they are speaking to me and that my reaction is in some way caused by them and therefore their fault. That in integrating and healing myself and not acting out, there is greater peace in my life and in yours.